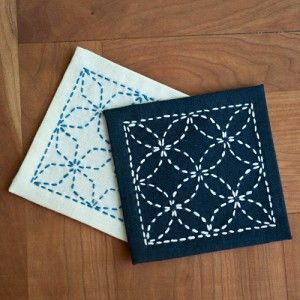 Want to come sew with us? The PghMQG Spring Sewing Retreat is now open to nonmembers! You can check out all the details and purchase tickets on the Eventbrite page using this link! 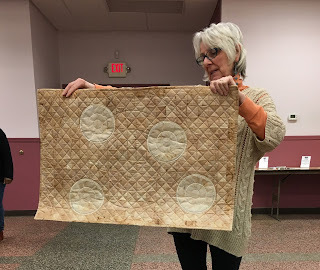 There were a lot of quilts to ogle at the February meeting, so let's get to it! Our rendition of the QuiltCon challenge for 2017 made an appearance at the meeting before being shipped off to Savannah. The challenge this year was "Playing With Scale". 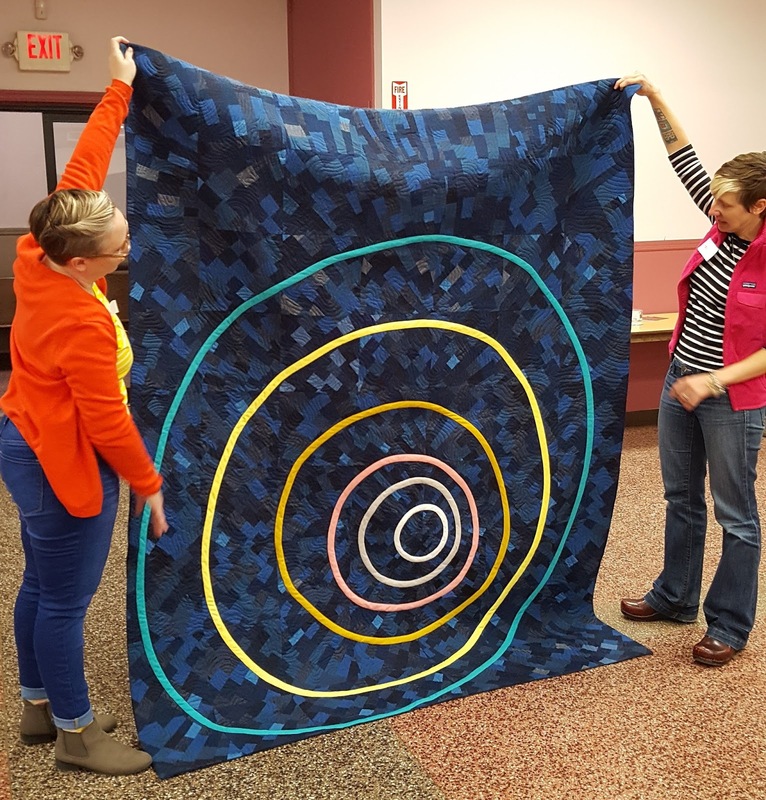 This quilt was inspired by the work of Paolo Scirpa, an Italian artist who uses neon light and mirrors to investigate the concept of infinity. Members individually improvisationally pieced the textured background which, when arranged, created a focal point in the distance. We then used hand-appliquéd bias tape to create concentric circles to bring the viewer from the large scale to the small reinforcing this point infinitely far away. Next up, the Upcycled Clothing Challenge minis were due at this meeting. 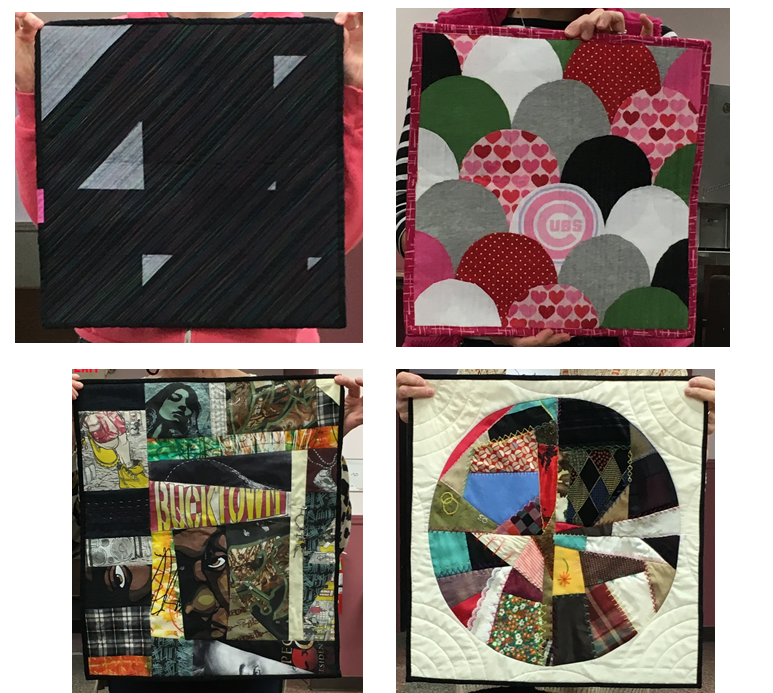 The members who participated created mini quilts out of upcycled clothing that had been deconstructed and pieced together. Head on over to Spool until March 4th to vote on your favorite! The winner will receive a $50 Spool gift card! Sally played with curves and color! This stunning piece by Sandy is made entirely of tea bags. It.was.amazing. Karen led the skillbuilder topic about organizing your stash. Thanks, Karen! 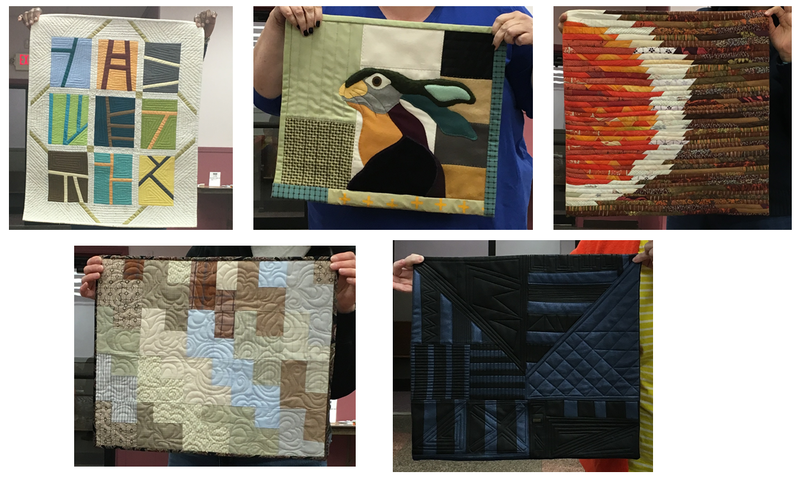 Don't forget to register for the March sewing retreat via this link. Registration is now open to nonmembers if you want to bring yourself or your friends!